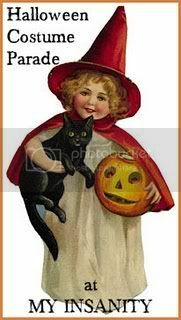 One of the insane things I like to do each year for Halloween is try and come up with themed costumes for our family that everyone will like and that won’t breaking the bank. 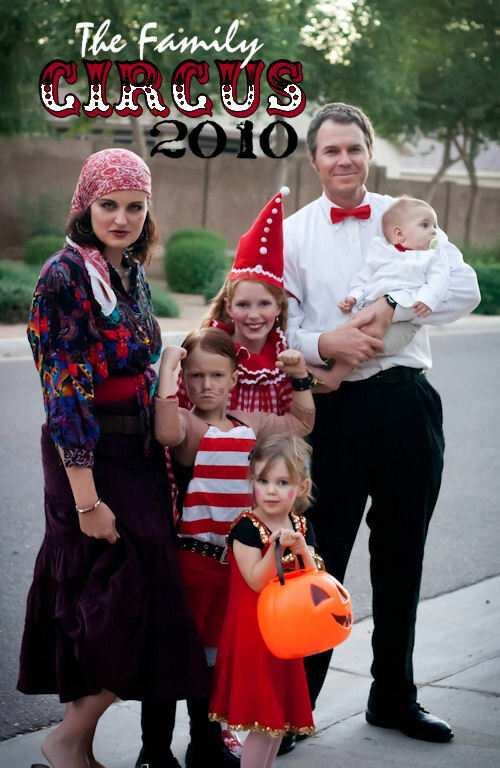 A lot of my friends and readers tell me that their families would never go for this because their kids wouldn’t agree to participate, and I know not every husband is a good sport about costumes. BUT my kids actually really love this tradition and they are about as stubborn and strong-willed individuals as you may ever meet. Perhaps it is our flair for dramatics but they get excited about the various themes and figuring out who would be best for each part. I approach it a bit like casting a play…of course, taking into consideration what costumes are available and who will best fit into them. The other thing we do, is start talking about what we will be months (or years) ahead of time. That way, they have plenty of time to get used to the idea and don’t want to change their minds last minute. I’ve often used a child and their current interest as a jumping point for the idea for the theme. 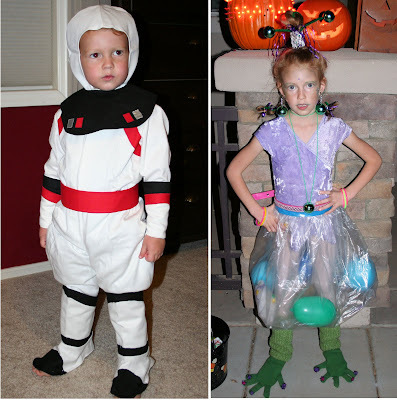 Their dad and I sometimes function as accessories to their dream costume. This may be the one that started it all! 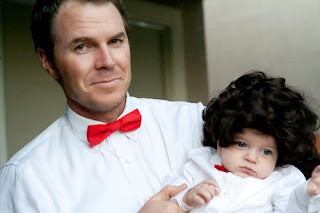 For some reason, my daughter decided she had to be a lamb for Halloween one year. My mother obliged by making her a costume, and before long, my ideas for a family grouping were realized. I am Little Bo Peep. 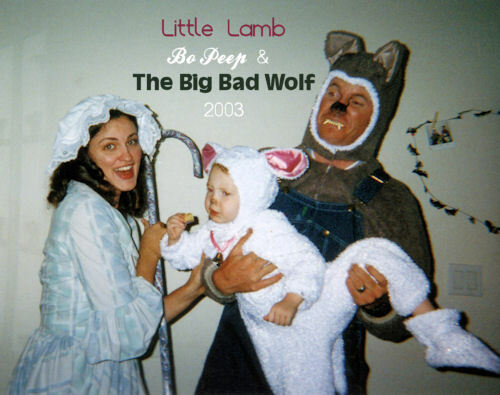 Kira is the Little Lamb and Barry is The Big Bad Wolf. 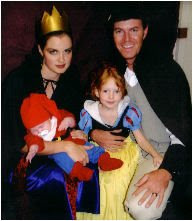 Kira wanted to be Snow White the following year. My son was less than two months old, so we made him one of the dwarfs. (In this picture he is definitely Sleepy, but he took turns being Grumpy and most of the other dwarfs, throughout the night). We tacked the beard to the shirt, which worked perfectly since his chin was always down. I am the wicked queen, and my husband is the woodsman. Then Kira wanted to be Cinderella (Can you see why she didn’t complain?) 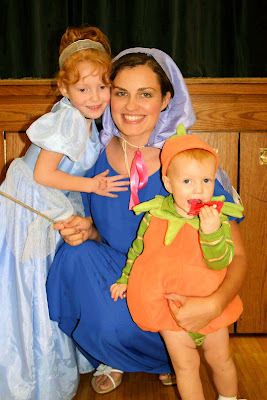 I found this cute pumpkin costume for my son, and I was the fairy Godmother. (Barry was out of town, so off the hook, this year). 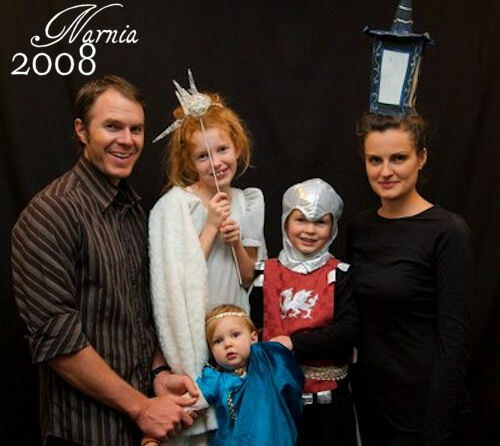 In 2008 we did Narnia. Can you tell what we all are? (Except my husband, who tried to claim he was C.S. Lewis. Yeah. I didn’t buy it either.) This grouping was inspired by my daughter telling me she has the face of the white witch. She made a creepy one and my son was excited to carry a sword and serve as the knight in shining armor to all the princesses at the church party. If you can’t tell, I am a lamppost. I put glow in the dark bracelets around my bun, so the lantern did give off some light. 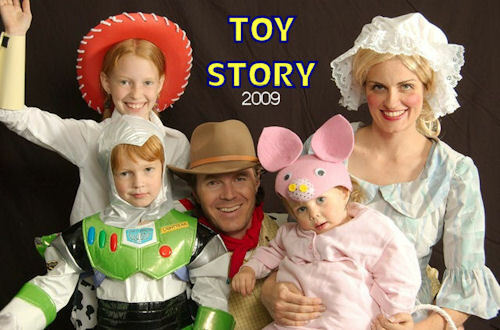 We inherited a really nice Buzz Lightyear costume that my son loved and I knew we could put together Woody and Jesse costumes with out too much trouble (thanks mom for sewing the chaps and the vest). I had plans for pull strings that we ran out of time for. I recycled the Bo Peep costume, borrowing a blond wig this time, and stuffed my pink shirt for my daughter to be Hamm along with the cute hat I found at the craft store. Do you know what you are doing this year? Have you ever done a family or couple grouping? Do you think it is as fun as I do, or not worth the effort? Any guesses as to what our theme will be this year? 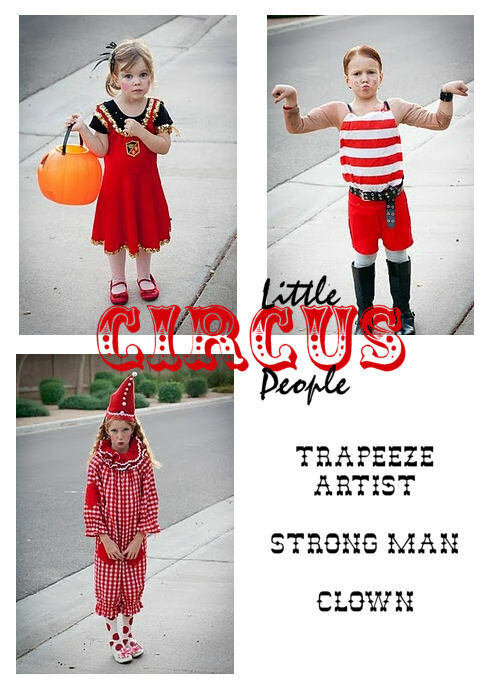 If you are still in need of some clever Halloween costume ideas, I have been collecting some fabulous and creative ones on my board on pinterest.